Is it possible to freeze and melt fat away? This is one big question that we attempt to solve but first we must understand how body fat functions in our body. Body fat as defined in many books is categorized as adipose tissue which is a normal component of the human body. Its primary purpose is to store energy in the form of fat that is then needed for metabolic functions within the body. However, having excess body fat can be physiologically harmful and at the same time can negatively affect one’s appearance. Thus the idea of the possibility to melt fat away comes to mind when all else failed. Can body fat be destroyed? Unfortunately, fat cells are indestructible since our body has a constant number of fat cells that will remain in our lifetime. However, fat cells can be reduced or shrink in size through various methods like freeze and melt fat away. You see, when people lose weight their fat cells are also reduce in size but the body will signal the need to rebuild the shrunken fat cells thus the tendency to gain more weight after slimming down is higher. This is when frustration about getting rid of body fat comes into place. This is when most people would give up the fight against being overweight and obesity. 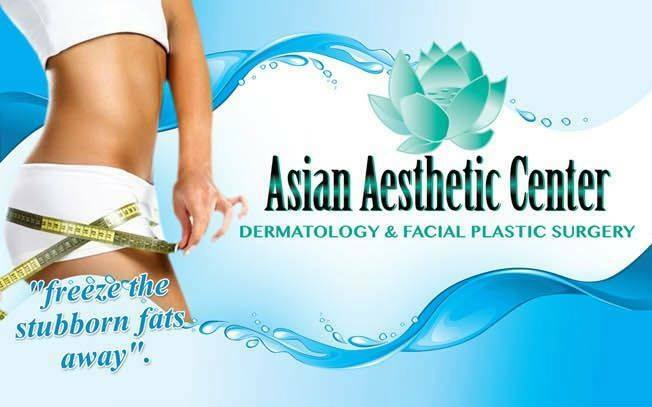 However, there is a way to melt fat away through an effective method that Asian Aesthetic Center can best provide. What is Melt and Freeze The Fat Away? 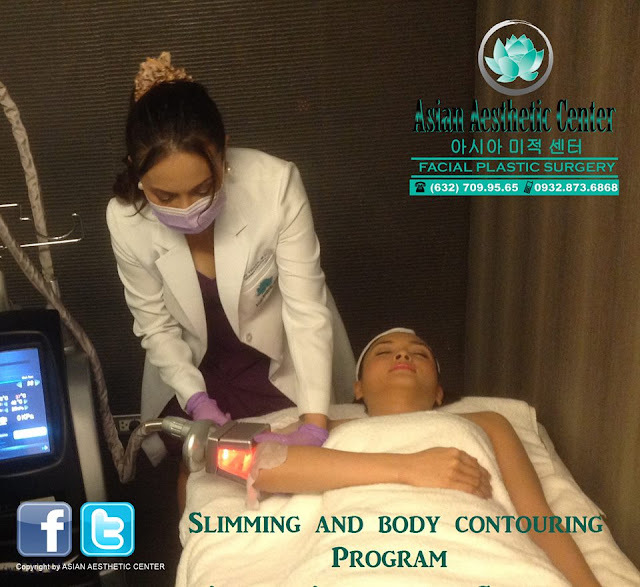 Asian Aesthetic Center (ACC) has an effective method to slim down the body and face which can melt fat away. It is so good that ACC’s co-founder Dra. 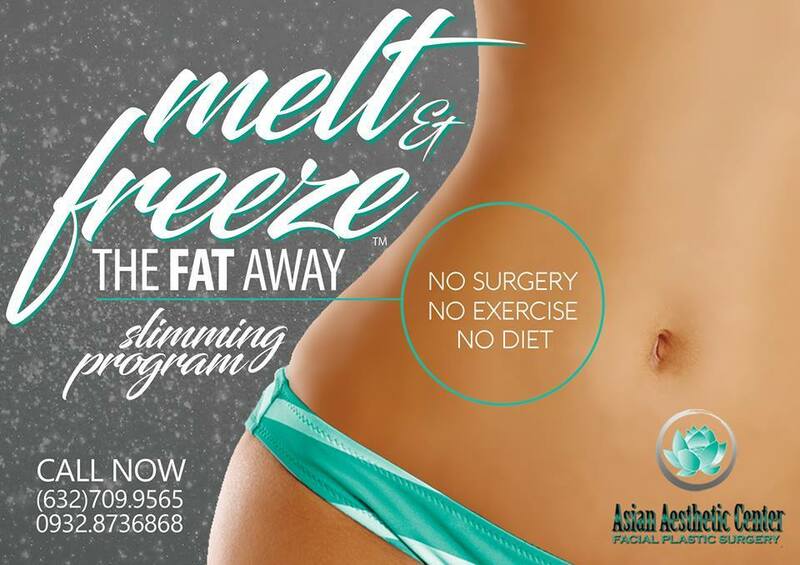 Amy Bautista has registered a trademark for “Melt and Freeze The Fat Away”. Melt and freeze the fat away is a non-invasive procedure that slims down and will melt fat away permanently. This exclusive procedure of Dra. Amy Bautista of Asian Aesthetic Center incorporates the utilization of both controlled heat and freezing technique that will effectively melt fat away for good. As the fat cells self-destruct, it will eventually die then gradually be eliminated naturally from the body. So far, this is an effective and safest fat elimination procedure in the Philippines today that Asian Aesthetic Center can best provide. With Dra. Amy Bautista as the medical director and founder, she incorporates a personal approach in dealing with each client. Being born with artistic talent, at a very young age, she has master anatomy specifically facial and body symmetry which she as a professional medical doctor who specialized in aesthetics integrate on all Asian Aesthetic Center slimming and beauty procedures. Being true to the fact that each person is born differently with unique set of facial/body features, Asian Aesthetic Center ‘freeze and melt fat away’ high-tech and effective fat melting treatment conforms to each individual bodily structure. Asian Aesthetic Center adheres to the philosophy that each client deserves a tailor-made treatment that would provide natural results. Dra. Amy Bautista list of patients at ACC come up looking naturally beautiful with slimmer waist, sleeker thighs, toned arms, lesser facial lines and even with firmed well-defined chin and neck. This is what the exclusive trademarked ‘melt and freeze the fat away’ can do to anybody who wishes to become naturally good looking with youthful features. Have you ever thought of getting rid of your body fat for good? Have you ever wonder if there is a way to melt fat away? Like many Asian people, we Filipinos are prone to storing fats in our bodies and these fatty deposits get into areas that we are not most proud of. 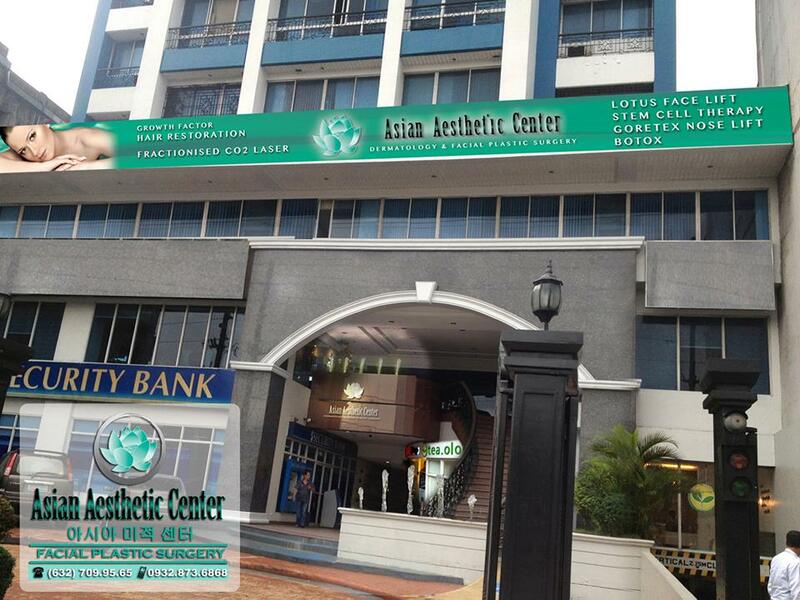 Asian Aesthetic Center can help and with Dra. Amy Bautista around, you can surely freeze and melt fat away. Schedule a FREE consultation with Dra. Amy Bautista now and be in your best form just in time for Christmas.